Looks like an effective clear up! Where did you get those paint racks?? These are Ammo by Mig paint racks that I found on Amazon. 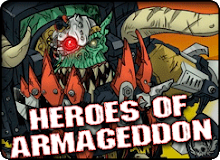 I'm still looking for some that fit GW paint. 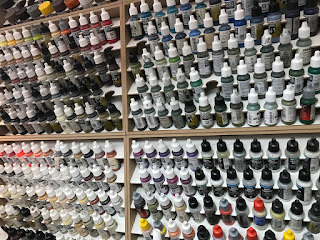 Once I have three of those, I'll have all of my paints in easy reach. Though to be fair, I don't know where anything is at the moment! That paint rack is batshit crazy in all the right ways. Subjectively, your workspace is immaculate. Bravo ! YAY JOHN IS POSTING AGAIN!!!!!!!!! Get your blog relinked as well john! 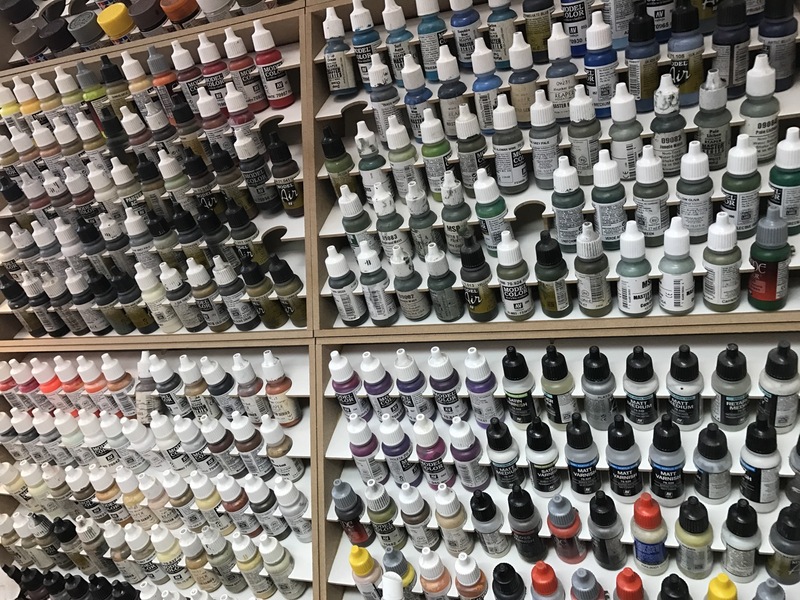 Never get tired of looking at paints ... nice collection of them too. You don't have enough paint. This is only half of it. 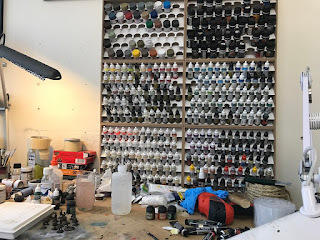 I have 300 pots of GW, and my oils, and then my Humbrol enamels! I tend to paint with maybe a dozen paints at any given time, so these racks are kind of insane.